Let's say immediately that, as far as booklet, production, arrangement and playing technique concerns, Davidian presents a product which is very professional, well organized in every detail and that they play and sing in such a good way that they are surely more than ready for any label. Concerning this aspect , Davidian, German band formed 1997, deserve 9 points out of 10 or maybe more. The booklet is really interesting and complete with 12 sides with lyrics and good fotos. OK but what is not completely up to the task are the musical contents. 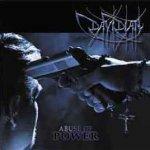 Davidian play Thrash Metal influenced so much by the 80's and first 90's . You can find traces which lead back to Pantera , Megadeth, Slayer, but the thing that towers above everything, in my opinion, is the extreme similarity to the first Metallica concerning style , ideas, passages, chords, but without reaching the touch of genius that Metallica had...at that time, and maybe still have today. Anyway aggressiveness and energy are out of question, their songs have there many really good starting points , and we can say that the tracks are really a classical Thrash attack and war declaration. Double bass- drum is really good à la Black , but maybe rhythmic drums and cymbals are a bit too much overloaded . There is a kind of beat too much , drummer Alex should work a bit less, he is doing a really impressive super work, but some beats here and there are a bit superfluous. Another important minus point is that there is a certain discrepancy between the rhythm of the vocals and the rhythm of the instrumentation. Chris Prendergast sings mighty and properly , but he results a bit unbalanced i think due the text. Lyrics are critical against religions and various dishonesty applied by those who have the power in our society, but when you sing them, the result is sometimes just a word too much or a word too less in almost every song, so that words don't perfectly match the musical rhythm. quickly said there is no perfect synchronicity between these 2 ingredients.